1. Everything on this site, from the photographs and graphics to the text of these terms, is either owned by us or used by us with someone else's permission. By using our site, you will not obtain any rights in any of the materials on our site. 2. While you're welcome to view the site and print hard copies of anything on it for your own personal use, you are not allowed to copy or use anything on our site for any other purpose, such as any business or commercial use. In addition, you are not allowed to modify, distribute or re-post anything on our site for any purpose at all. 3. Our site is provided to you "as is" and we don't give you any guarantees or promises in respect of the site or its performance. In particular, we give no guarantee as to the quality of our site, its fitness for any particular purpose or the level of skill and care used by us in making it available to you. Any terms of this nature which may be implied automatically by law are excluded (to the extent legally permitted). Providing the site "as is" means that:- Although we try to make sure that everything on our site is accurate, we can't promise you that it is or take responsibility if it isn't - you use our site at your own risk. We can't guarantee that everything on our site is free from viruses or defects or that your use of the site won't cause damage to your computer - it's your responsibility to make sure that you have the right equipment to use our site and screen out anything that may damage it. While you're welcome to visit our site whenever you choose, we can't guarantee that the site will always be available or will operate without interruptions - we may make changes to the site or take it down at any time. 4. As we said before, the site is provided "as is". This means that if you suffer any loss, damage or expense as a result of visiting or using our site (for example, damage to your computer from a virus or financial loss caused by relying on any inaccurate information which is mistakenly included on our site), you will not have any claim against us or anyone who helped us to put together the site or contributed to it. We will have no legal liability to you in respect of any such loss, damage or expense. 5. You may notice that we have links on our site to other sites which we think you may want to visit. We don't vet these sites to make sure there is nothing in them that will offend you and we have no control over the content of linked sites, so remember that we can't be responsible for what you find there - good or bad. 6. We suggest that you look through these terms as often as you can, as we will update them as and when we think it's necessary. 7. We are committed to protecting your privacy when you visit or use our site. Here is a summary of the personal details we may collect from you when you visit or use our site, together with an explanation of what we might do with those details:- When you order goods from our site - we will collect details of your name, e-mail address, postal address and credit card. We will use these details to process your order for goods. When you select our secure server your credit card details will be encrypted on their transmission over the Internet. When you enter our competition - we will ask you for details of your name, e-mail address, postal address, date of birth and, on occasions, some additional questions about you. We will use this information to administer the competition in accordance with its rules. If you win a competition we may publish your name (but not your e-mail or postal address) on our site. 8. 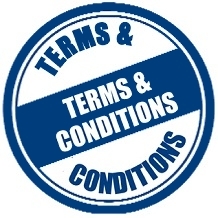 In the event of any dispute between us, these terms and conditions will be governed by English law and heard before the English Courts. We don't wish to seem unfriendly, but if you do not want to be legally bound by these Terms and Conditions, please leave our website! Copyright © South Coast Designs. All rights reserved.